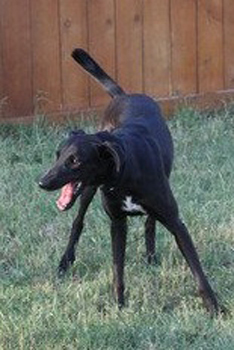 Tuesday is an approximately 2-year-old black female greyhound. She is not tattooed and so is not registered with the NGA. 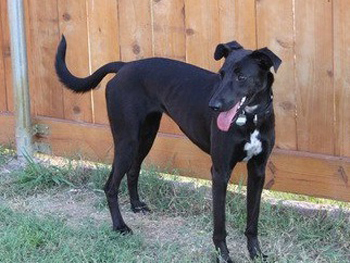 Tuesday came to us via the North Texas Humane Society as a rescue from a hoarding situation. This little girl is ready for some love and affection! After 5 long months of treatment, Tuesday has successfully tested heartworm negative! She is not cat tolerant.